Gautam Gambhir: Amitabh Bachchan’s successor? Disclaimer: The views in this article belong to the writer and do not represent the views of any organization that he is associated with. What makes a hero? Is it having a physically imposing body made up of bulging muscles? Is it having a pretty boy face? Is it having a force of personality so imminent and obvious that one comes across as a leader? Or is it living a life that sees one overcoming odds? There might be hundreds of possible answers to the aforementioned question but the truth is that we all realize the presence of a hero, when we see one. Or maybe not? Well, this is a tribute to one such hero. Once upon a time, I was young, 15 years (and change) to be exact. The Indian cricket team had won the inaugural World T20 earlier that year letting me and millions of others forget the pain of bowing out of the 50 years (I know it is 50 overs but God the world cup felt long) world cup in West Indies. Mahendra Singh Dhoni had just cut his hair locks likely filling sorrow in the hearts of his many fans. Virat Kohli had not yet captained India in U-19 world cup (but most probably was still cursing others). And Manmohan Singh was still in his first term as a Prime Minister. During those heady days, on one foggy morning in Delhi, I woke up to tune into India taking on Pakistan in Guwahati. 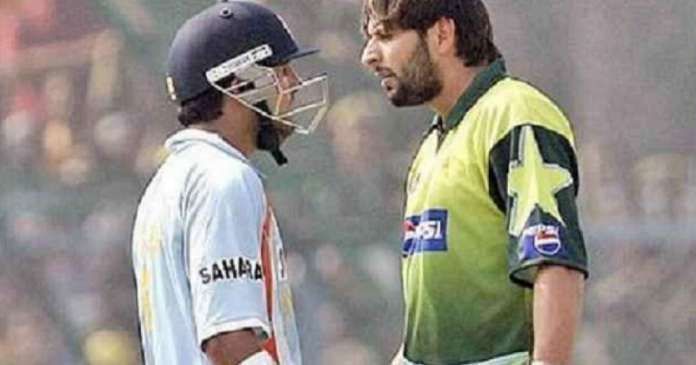 A doughty Delhi boy was batting and started to have a not so friendly chat with an ever-young Pashtun from Pakistan (who at that time was likely still only 20 or something (or was he still playing school cricket? ), I don’t know he seems to have remained young for a long time). I believe Rambo Rameez Raja said on commentary that he knew how to lip read, but he would not like to say what the two were discussing. It was at that moment that I realized that Amitabh Bachchan’s successor as the Angry Young Man had dawned on us. The Southpaw from Delhi made a fan out of me on that day. Gautam Gambhir’s top scoring innings at the World T20 finals was an innings you almost expected (world cup game against Pakistan, big stakes, have to step up). But that spat with Shahid Afridi was someone giving it back (with due interest) in what was essentially an inconsequential game (4th bi-lateral series between the two teams in 4 years). This was pure passion, ego and courage (I mean look at the difference in sizes of the two) brought to the fore. 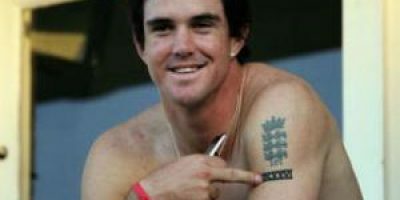 Gautam Gambhir: Watson, you are no Dr Watson. Get aside! 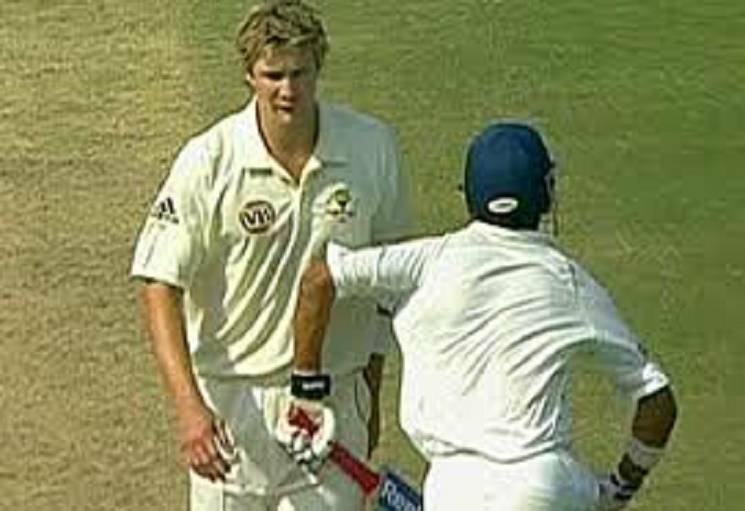 Next year, Gautam Gambhir took up a fight against the Aussies. He celebrated his runs in Delhi (to my future kids: that was a time when Delhi had better air, look up in history books if you don’t believe me) by jumping up and down, yelling and coming down the track to pacemen. And did he elbow Shane Watson as well? Next year, Gautam Gambhir played a masterclass in Napier, New Zealand and won ICC’s player of the year award (which by the way, Sachin Tendulkar was yet to win at that time). Next year he remained solid (and angry) before top scoring again in World Cup 2011 finals. In between all these things, he kept playing spin with the footwork and agility of a dancer, top scored in the CB Series in Australia, gave Virat Kohli his Man of the Match award on Kohli’s first ODI 100 and top scored among Indians (and second overall) in the first IPL. And these are only the few that come to the top of one’s mind. Post-2011, he worked towards leaving a legacy at Kolkata Knight Riders, making the Jeetbo in their Korbo Lorbo Jeetbo (will work, fight and win) finally a reality. By this time, however, Gambhir was not being chosen regularly for the national team. So he started to turn his attention to Ranji Trophy and other domestic tournaments, where his aggressive nature kept coming up. Just ask his Delhi coach against whom he revolted because Gambhir believed he was not doing enough for the youngsters. All in all, he may not have had the popularity or longevity of Sachin, Kohli or Dhoni. He might not have the desi humour that Yuvraj or Harbhajan had. Hell, his off side play might not be as good as Ganguly’s and he might have the grumpiest face among all non-fast bowling cricketers in history. He might not even have a record that might guarantee him the status of a legit legend, but he was at the right place (which he reached himself) at the right time (which he made sure came), grabbed his opportunities and ran with them. Essentially, he was there for few of the most important moments in Indian cricket. And that alone makes him a hero that inspires. So as he has now hung up his boots, kept aside his gloves, removed his pads and walked into the sunset that is retirement, I am left writing this piece about someone who inadvertently inspired me (and a lot of others) all those years back and beyond. And of course the farewell could have seen much more fanfare, more people could have thronged to the stadium to witness Gambhir bat and more media coverage could have been given, but sometimes we might not deserve or recognize a hero, but we might need one and Gautam Gambhir was one.